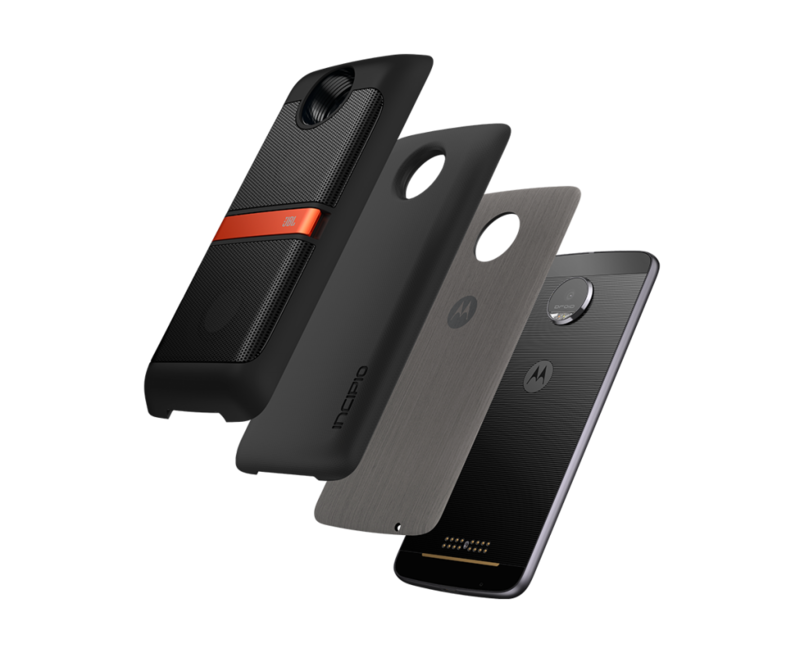 Moto Z and Moto Z Force are two new phone models launched by Motorola with backing from the parent company Lenovo. 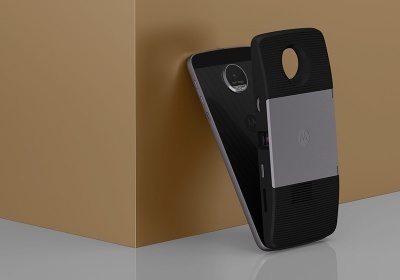 A modular concept called Moto Mod is employed. The phones capabilities can thereby be extended by attaching a mod, which is a modular add-on that snaps onto the back of the phone using integrated magnets. Moto Z comes with hardware that matches most of its competitors’ phones. It has a 5.5-inch AMOLED screen, a Snapdragon 820 processor and 4 GB of RAM memory. It runs on Android 6.0 Marshmallows. The phone in itself isn’t the most exciting part of Moto Z and Moto Z Force. It’s the extensibility offered by the mods. Consumers increasingly want to customise the hardware and appearance of their phones beyond casing and software. Modular smartphones like LG G5 have therefore gained in popularity in recent months. So which mods are available for Motorola Moto Z? Image source: Motorola. Soundboost mod with kick stand. Soundboost mod is a dual 3W speaker by JBL that transforms your phone into a portable speaker. It’s straightforward using the mod. Snap on the mod at the back of the phone, and the sound is automatically routed to the speaker when the mod is connected. This mod is 13 mm thick and weighs 145 gram. It’s powered by a 1,000 mAh battery that lasts 10 hours in use. The battery can be recharged using the phone or a USB port located below the JBL logo. There’s a handy kick-stand that supports the speaker in a tilted position. The battery mod is a battery pack that extends the usage time. The battery packs currently available all have a capacity of 2,200 mAh. The maximum capacity is limited by the minimum magnetic field required to glue the phone and the battery mod together. The battery pack yields 22 hours additional usage time. Image source: Motorola. Insta-Share projector mod. Most of us often want to share photos and videos stored on the phone with family and friends. The problem is that the screen size of the phone or tablet is too small for a group of people to view at the same time. 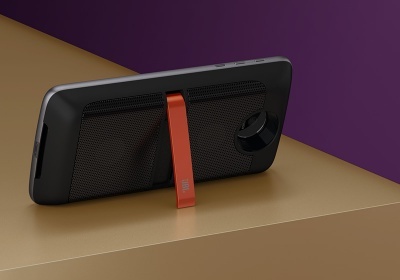 Motorola Moto Z’s Insta-Share projector mod provides the ideal solution to this problem. It projects the content on your phone onto the surface of a wall up til 70 inches. Turn your phone into a true fashion accessory with this style mod. You can choose from a large range of materials and fabrics including wool and leather. The style mod is, in essence, a stylish phone case. We expect the Motorola Moto Z and Moto Z Force to appear on local shop shelves in September. Motorola phones used to be popular in New Zealand, but have declined in popularity in recent years. Does Lenovo that acquired Motorola some time ago have the required skills and commitment? It remains to be seen.